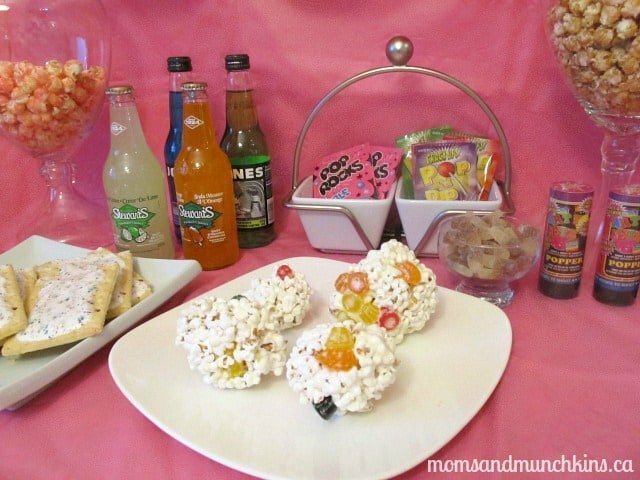 The Ready to Pop Baby Shower is such a popular theme right now. 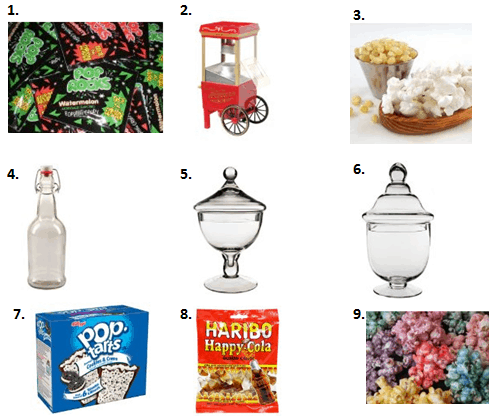 Here are some fun ideas for invitations, decorations, activities, food and favors. When you think of “pop”, what comes to mind? Balloons? 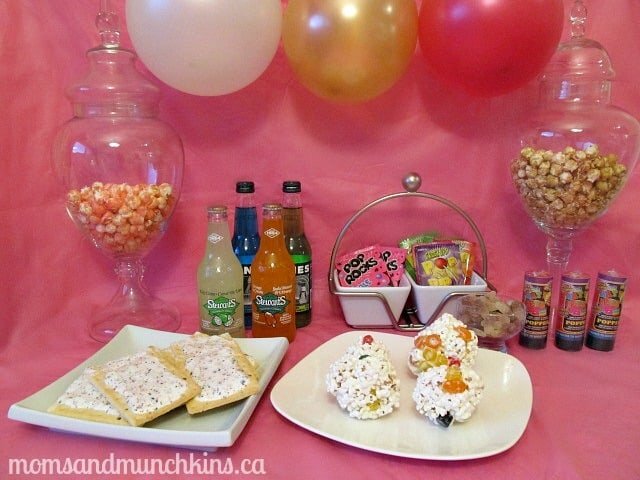 Party poppers with streamers & confetti? Popcorn? Bubble gum? 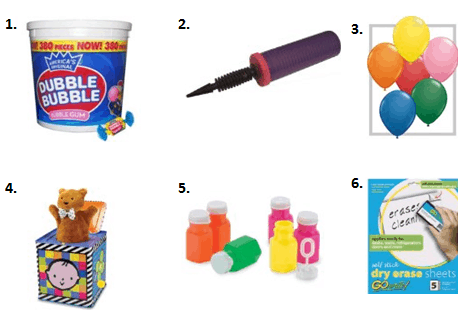 All of these popping items can be incorporated into your party. Each place setting could include a fun party popper (when twisted, they shoot out confetti and streamers). This may be a bit messy to clean up so you can leave these as party favors for the guests to bring home. Balloons are an easy decoration item for this party theme. You could have helium balloons covering the ceiling or inflated balloons on the floor (or both). 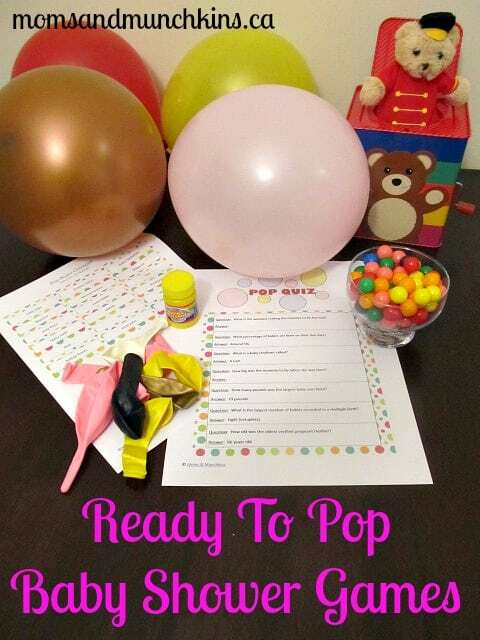 There are so many fun activity ideas that fall into the Ready to Pop baby shower theme! Biggest Bubble: Give each guest a piece of bubble gum and have each guest blow a bubble at the same time. The goal is to create the biggest bubble without it popping! Catching Bubbles: Provide each guests with a small container of bubbles. The person who can pile the most bubbles on their wand at once is the winner. Pop Quiz: Create a fun Pop Quiz for the guests including facts about babies, pregnancy and the mommy-to-be (or print this one for free). Provide each guest with a dry erase sheet, a dry erase marker and a paper towel. Ask one question and have the guests quickly write their answer on their dry erase sheet. You can use a Jack in The Box as the timer for each question – after you ask a question, start winding up the Jack in The Box. When the Jack in The Box pops – each guest must hold up their answer for everyone else to see. The person with the most correct answers wins! Pop Music Charades: Print this free pop music charades game, cut out each of the charades, fold them and place them into a balloon. Blow the balloon up and store all of these charades balloons in a laundry basket. Split the guests into 2 teams. Team A goes first by 1 player taking a balloon out of the basket, popping it, reading their charade and acting it out for their team. Their team has to guess the right answer before time runs out in order to earn a point. Near the end of your pregnancy, did you feel like you were going to pop? I know I sure did! 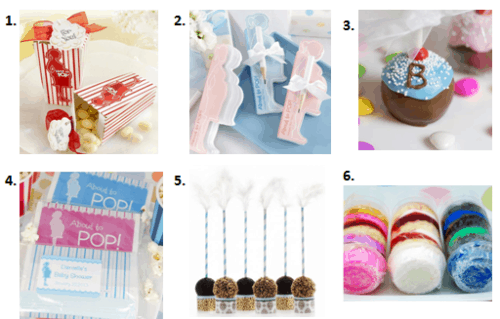 We’re always adding new party ideas for baby showers, birthdays and more. To stay updated on the latest ideas, follow us on Facebook, Twitter, Pinterest and Bloglovin’. Disclosure: I am part of the Beau-coup and Amazon affiliate programs. All opinions expressed here are 100% my own. Digital paper design by Pixel Paper Prints.